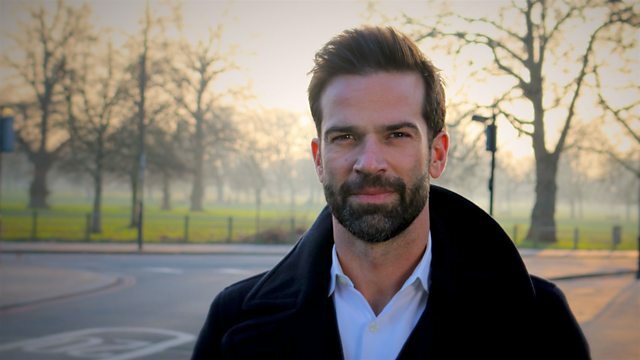 Gethin Jones presents an appeal on behalf of Hospice UK, which works with hospices to offer people with life-limiting or terminal illness the best possible care. Browse content similar to Hospice UK. Check below for episodes and series from the same categories and more! Over the years, I've spent some quite a lot of time in hospices. Recently, visiting a very close family friend. and that's why I want to show you the special work that hospices do. with terminal and life-limiting conditions, every year. Aidan Moir died in 2012 when he was just ten. You shouldn't have to bury a child. It's just not the way it should be. They should be burying their parents. Nothing could ever prepare you for it. Aidan was born with a rare neurological condition. along with his ability to walk and talk. when their child has such a devastating illness. offer support, comfort and valuable respite. Robin House Hospice, north of Glasgow. with his brother and sister as his condition got worse. a break from the demands of such a severe illness. Family life, it was all about clock watching. "Is it medicine time? Is it feed time?" just lie, lie beside him in the bed and watch a DVD. the everyday that people take for granted with their kids. And it was here that Aidan spent his final days. this could maybe be Aidan's last. So, he was settled for the Thursday night. When the end came, he was surrounded by his whole family. -He just went in his sleep. even though Aidan passed away here. For me, it was all about the memories that we made as a family. supported by a charity called Hospice UK. Hospice UK works very hard to make sure they offer the best care. Now that could mean pain relief or counselling. Hospice UK depends on all of us to make it happen. Like many hospices, Robin House relies on the help of volunteers. or working directly with the children. -Feargus is nearly two and loves drumming. ..who's been volunteering at Robin House for three years. for a complex life-limiting condition. He was then referred to Robin House. But it was a hard step for the family to take. You never want to go to a children's hospice. It's not something you want to do. It took us a while to get our head round everything. Now it's a place to enjoy precious moments together. It's not about end of life all the time. because that's really all we are doing, is making memories. support to people of all ages. a wide range of activities, thanks to volunteers giving up their time. This is Monday club. It's for people with dementia. which volunteers help to run. Well, they needed a pianist. sensitively with people who are terminally ill. They help the specialist staff make the patients' lives more enjoyable. actually happens outside of the hospice building. to support people with a terminal illness living at home. so they can concentrate on clinical work. Trinity matched with Ken, who's 84 and has Parkinson's. Ken lives with his wife, Kirstin, in south London. Let me serve some cake. Eddie's visits give Ken the confidence to get some exercise. Mind if I use some fingers? Eddie comes along once a week and we go out for a walk. Here we go. I've got you. And by the time we get back, I must say, I'm shattered. And it's getting more difficult. But I'm determined to keep it going. Because otherwise, I would be completely immobile. Trinity train volunteers like Eddie to keep an eye on patients' welfare. After every visit, I report back. I'm very lucky. And we hope it'll last for a long time. of people like you to fund much of the wonderful work they do. But the truth is, Hospice UK would like to do a lot, lot more. without the support they really need. the chance to live their lives to the full. and the whole £10 goes to Hospice UK. please make your cheque payable to "Hospice UK"
Hospice UK believes that while end-of-life care might mean pain relief and counselling, there is so much more that can help, and they rely on all of us to make that happen. Two-year-old Feargus has a complex condition affecting his vital organs, his sight and hearing, but he loves playing the drums with a volunteer at the Robin House children's hospice near Loch Lomond that he and his family visit regularly for respite. And Royal Trinity Hospice in London is pioneering the use of volunteers to befriend and support patients living with illnesses like Parkinson's, cancer and dementia in their own homes, helping to give more people comfort and friendship at the end of life. Donation details below: To donate, please call 0800 011 011 (free on landlines and mobiles). Go online at www.bbc.co.uk/lifeline or send donations to Freepost, BBC Lifeline Appeal with Hospice UK on the back of the envelope.